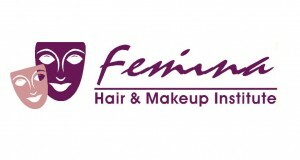 The first project to be launched by this company is a Makeup Studio / Salon named “NATASHA.” The namesake of the studio is one of the eldest granddaughters of Madam and is a highly qualified and gifted makeup artist. Our team is extremely excited to bring the company – “HOUSE OF NOOR” – out into the virtual forefront. This company has been formed as a tribute to the legendary Madam Noor Jehan by her granddaughters, Natasha and Sabrina Khalid. It is a promise to carry on a legacy of excellence in their chosen field of beauty and fashion. Encouraged and inspired by Madam’s distinctive beauty, glamorous style and larger-than-life aura, Natasha developed a fascination for transformations through makeup, clothes and styling from a very early age. She went on to pursue her passion on a professional level by completing an extensive professional makeup course from the prestigious JEMMA KIDD MAKEUP SCHOOL in London. Having trained under renowned Makeup Artist, David Horne (previous head of MAC UK and Germany, current trainer for Illamasqua), Natasha was able to fine tune her skills and eye to understand the art of make-up at a much deeper level. Once her training in London was complete, Natasha worked in the Middle East as a Makeup Artist and Qualified Trainer for MAC Cosmetics for three years. She rapidly gained a loyal clientele for her party and bridal makeup in Abu Dhabi and Dubai as well as became the Beauty Expert for Friday Magazine and Beauty Consultant for Kaya Skin Clinic. Natasha’s editorial portfolio boasts of collaborations with cosmetic giants such as YSL, Gucci, Lancome, Body Shop, Bourjois, MAC and Mikiyaji, among many others. She has also headed the makeup team for the fashion shows and lookbooks of several UAE designers such as Essa for his finale of Dubai Fashion Week 2008 as well as Buffi Jashanmal’s look book for New York Fashion Week. After gaining vast practical experience on a global platform, Natasha and her sister Sabrina, have decided to bring the newfound awareness and the glamour quotient of the international beauty world to Pakistan. The purpose of the NATASHA Makeup Studio/ Salon is to provide various services in makeup, hair and nails of supreme quality which are consistent with international standards. The main aim is to bring forth revolutionary trends and innovative styles to our customers on a constant basis. 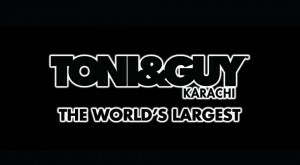 NATASHA is located at 7E, 8th Zamzama Lane, Opposite Pizza Hut, Karachi, Pakistan. Watch this space for further information and contact us on or facebook for enquiries, appointments and makeup class booking. Note: Prices can be slightly different on location.